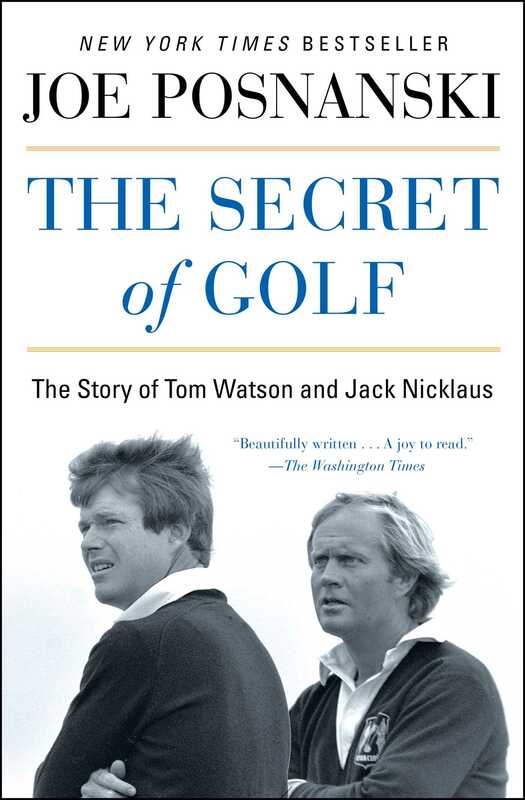 From “one of the best sportswriters in America” (The Washington Times)—the New York Times bestselling story of the friendship and rivalry between golf legends Tom Watson and Jack Nicklaus, whose sparring matches defined the sport for more than a decade. The first time they met, at an exhibition match in 1967, Tom Watson was a seventeen-year-old high school student and Jack Nicklaus, at twenty-seven, was already the greatest golfer in the world. Though they shared some similarities—they were both Midwestern boys who had learned how to play golf at their fathers’ country clubs—they differed in many ways. Nicklaus played a game of consummate control and precision. Watson hit the ball all over the place. Nicklaus lacked charm and theatrics, and he was thoroughly despised by most golf fans because he had displaced Arnold Palmer as king of the golf world. Watson was one of those Arnold Palmer fans. Yet over the next twenty years their seemingly divergent paths collided as they battled against each other again and again for a place at the top of the sport and drove each other to ever-soaring heights of accomplishment. Spanning from that first match through the “Duel in the Sun” at Turnberry in 1977 to Watson’s miraculous near-victory at Turnberry as he approached sixty, and informed by interviews with both players over many years, The Secret of Golf is Joe Posnanski’s intimate account of the most remarkable rivalry and (eventual) friendship in modern golf. A Scottish golf joke: An American traveled to Scotland to play some golf. The man loved golf, though he lacked the aptitude; he played relentlessly and poorly. He traveled throughout Scotland, all the wonderful old links courses, leaving behind a sad trail of child-size divots and lost golf balls. Finally he came to Turnberry, the famous golf course on the Firth of Clyde in southwestern Scotland. For a golfer there are few landscapes in the world quite like it. As you walk along the firth, the wind tosses and pushes you. Across the water you see Ailsa Craig, a tall rock island where puffins and gannets hover. There are many people, including the course’s current owner, Donald Trump, who say Turnberry is the most beautiful golf course on earth. The American looked at Turnberry with both awe and fear. He hired a caddie and began with an optimistic first drive, then he went about his business of hooking and slicing hopeless shots into gorse bushes and pot bunkers. The man played this over in his mind and realized the caddie was saying “You might keep your eyes on the little ball.” Well, this struck him as sound advice. Like so many amateurs, he had a habit of taking his eyes off the ball while he swung the club. When he stood over his next shot, he said to himself, “Keep your eyes on the ball. You might keep your eyes on the ball. Ye micht keep yer een oan th’ wee baw.” Then he began his swing, and it felt different somehow, smoother. At impact he heard a beautiful sound, a gorgeous thump, and he watched awestruck as his drive soared true, splitting the fairway in half. It was the most perfect shot he had ever hit. The man felt the wind against his face, and he stared out over the land to the stunning Turnberry Hotel in the distance. It was beautiful—green and blue, rolling hills and dunes. He raced after his caddie, who had already started walking, and when they reached the golf ball the man once again told himself, “Ye micht keep yer een oan th’ wee baw.” Again he felt that smooth swing, heard the invigorating thump of club meeting ball, and watched as the ball floated happily over Wilson’s Burn, the stream that protects the flag on the 16th hole. The ball plopped on the green and skipped toward the hole, stopping five feet short. “Incredible!” the man shouted, and he promptly walked up to his ball, repeated his mantra, and putted it in for a birdie. The caddie looked up briefly then back at the ground. “Ye micht keep yer een oan th’ wee baw,” he said again. Same advice. The man stepped to the 17th, a par-5, and cleared his head of all thoughts except the words of his caddie. Now he said it to himself with a Scottish brogue. Ye micht keep yer een oan th’ wee baw. His drive was brilliant again, straight and true, and his second shot rolled up close to the green. His chip shot for eagle almost dropped into the hole, and he made his second straight birdie. The caddie shrugged. “Ye micht keep yer een oan th’ wee baw,” he said again. On the 18th hole, the man cleared his mind one more time. Een oan th’ baw. Een oan th’ baw. He watched the ball, began the same backswing, and came down with the same swing that had felt so good the previous two holes . . . and this time he snap-hooked his drive so violently that the ball began curving left the instant he hit it. It did not stop curving until it was a hundred yards off-line and lost forever in angry-looking vegetation. Tom Watson and Jack Nicklaus stood at the 16th tee of Turnberry that day in 1977, and all around them was chaos. In the gallery, shirtless men the color of pink grapefruit pushed and bumped into each other as they tried to get a view of the two golfers. Normally sensible people could not stop babbling, even after golf marshals pleaded with them for silence. The golf world felt like it was tilting off balance. When it comes to golf, Scottish people are famously reserved, undemonstrative, difficult to impress. Golf is like church in Scotland, church like golf. That day, though, the final day of what later was called the Duel in the Sun, sunburned Scots skittered around Turnberry like it was Woodstock. They could not stop jumping and chattering and moving. It was the golf Watson and Nicklaus were playing: nobody had ever seen anything quite like it. The men hit gorgeous shot after gorgeous shot, brilliant putt after brilliant putt—it was music, not golf. Years later, a member named Jack Boyd, who would become the unofficial historian of Turnberry, remembered feeling like everyone was walking five feet off the ground. The golf was so heavenly, Boyd said, the Scottish wind dared not blow. The people of Scotland did not know Tom Watson, not yet. He was the challenger then, the young golfer who dared be king. Watson did not know Scotland either. He did not yet understand why people spoke so reverentially about Scottish links golf. He was a sensible midwesterner raised by sensible midwestern parents to cherish sensible midwestern values. Don’t brag. Don’t draw attention. Win modestly. Lose with dignity. You get what you deserve. Watson believed this was true of life, and even more, true of golf. He grew up playing the golf of retributive justice. In links golf, though, that was turned upside down. In links golf, you deserve whatever you get. The pride Scottish people have when recounting that story is telling. St. Andrews is the near-perfect essence of links golf. On Sundays at St. Andrews, people walk their dogs on the world’s most famous golf course. They ride skateboards on the hard grass. Scottish golf courses have no tricks, no man-made lakes in your path, no planted trees to block the view of flags. Links courses rely on nature to guard the hole. The dunes make golf balls bounce unpredictably. Native grasses and gorse bushes eat golf balls. Golf architects dig small, deep sand bunkers where rabbits once clawed the land, where sheep slept. And there is the weather. In Scotland they say, “Nae wind, nae rain, nae golf.” It is a philosophy, not only of golf but also of life. All this meant little to the twenty-seven-year-old Tom Watson. He had a specific, even Catholic idea about how golf should be played. Good shots were to be rewarded. Bad shots were to be punished. This was the game his father, Ray Watson, taught him. So it confounded him that in links golf good shots would sometime bounce erratically and drop into those nasty pot bunkers. Bad shots sometimes would roll through the high grass and prickly plants and settle on a pristine piece of land. The wind often could not be judged; it would gust and bluster and then suddenly fall still. A perfectly struck shot hit into calm air would run into a new wall of wind and get knocked out of the sky like a clay pigeon. The next shot might be turned left by a fresh wind and disappear. “This is not golf,” Watson thought. Watson and Nicklaus stared out toward the Turnberry Hotel in the distance and waited. One of them was going to win the Open Championship; one of them was not. There was no one else left. They had hit so many brilliant shots on the final day that they left the tournament behind. They were each ten shots under par, the lowest scores in the history of the Open Championship (as it is called in Great Britain and around the world—never the British Open). The third-place golfer, Hubert Green, was an impossible nine shots behind. Watson studied Nicklaus’s face. How many times through the years had he studied Nicklaus’s face? A hundred? A thousand? Watson hoped there was something revealing there, something that might explain Nicklaus’s greatest strength: the way his mind worked when he was under pressure. Nicklaus, for his part, would not remember considering Watson at all. He was not yet curious about him; that would come later. Young challengers rose and faded throughout Nicklaus’s career. Lee Trevino, a wisecracking Mexican American who Watson later said was the best ball-striker he ever saw, beat Nicklaus for a time. Johnny Miller’s swing was so gorgeous, Nicklaus taught it to his own sons. Tom Weiskopf was tall and angular and hit high, soft shots. Over the years, there were so many “next Nicklauses”—Ben Crenshaw, Ray Floyd, Lanny Wadkins, and John Mahaffey, to name only a few—that at some point Nicklaus stopped distinguishing. They were all young, all talented, and they had all withered when they got too close to the sun. Now there was Watson. The thing that amazed other golfers about Watson was his brilliant short game. That is to say, around the green and around the flag, he did magical things. “Tom could chip it out of a garbage can,” Nicklaus said later. But Nicklaus still felt sure he would win at Turnberry. He felt sure because he had a symbiotic relationship with pressure: the bigger the moment, the better he played, and the better he played, the bigger the next moment. And Watson? The sportswriters called him a choker. His swing could get erratic at inopportune moments. He had folded under pressure on numerous occasions. He simply did not know the things Nicklaus had learned about winning, about finishing off a tournament, about how to deal with the turbulent feelings a golfer feels when close to victory. The air was thin, as if they were at altitude, and the Scottish gallery was pink and tipsy and alive. This was Nicklaus’s time. At the 16th hole of Turnberry, on the last day of the 1977 British Open, Nicklaus looked over to Watson and saw something he did not expect. Watson did not look nervous at all. He did not seem unsure. He was looking over the buzzing crowd and the gorgeous dunes. Was he smiling? Yes. He was smiling. He looked back at Nicklaus. “This is what it’s all about, isn’t it?” he asked. Nicklaus was surprised. Who was this kid? “You bet it is,” Nicklaus said. Joe Posnanski is the author of the #1 New York Times bestseller Paterno. 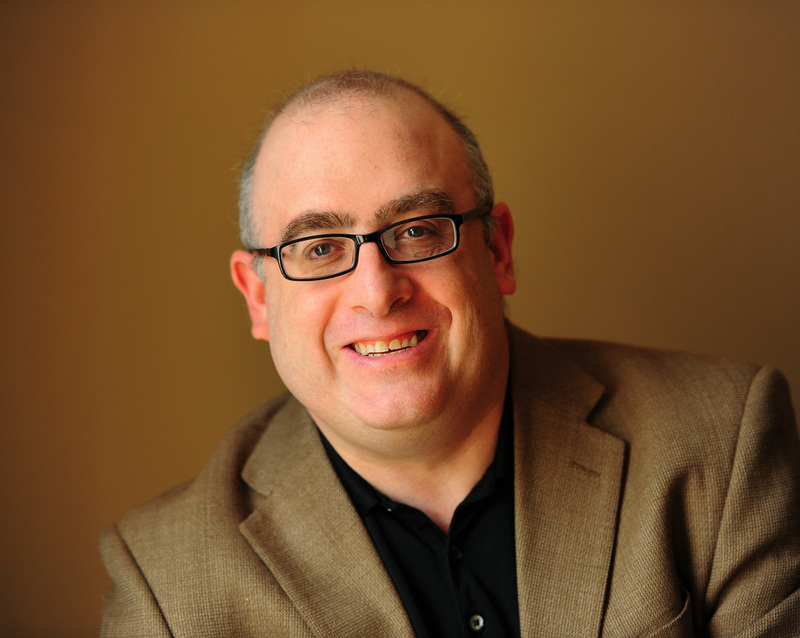 He is a national columnist for NBC Sports and was a senior writer at Sports Illustrated from 2009 to 2012. In 2012, he was named National Sportswriter of the Year by the Sportswriters and Sportscasters Hall of Fame. Before joining SI, he was a columnist for the Kansas City Star for fifteen years, and was twice named the best sports columnist in America by the Associated Press Sports Editors. He is the author of four books and has been anthologized widely. He lives in Charlotte, North Carolina, with his family.